Sanford Custom Builders is an award-winning builder of fine residential homes in the Weston, Wellesley, and Metrowest areas of Boston, MA specializing in custom homes, additions and renovations. 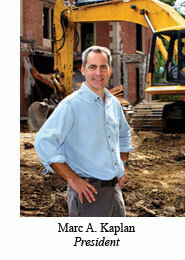 As the Owner and President of Sanford Custom Builders I remain fully involved in every project. I attend job site meetings, constantly review construction details and methods with the superintendents, and conduct my own inspections. I provide close overview of the project and treat every person as I would like to be treated. When construction is complete and the homeowner moves in we are committed to maintaining a relationship with our client and the house. Long after the "official warranty" is over we continue to service our clients. Our customized Home Management Services assure that owners have peace of mind knowing that we will consistently be available for any maintenance, repair or replacement needs. Past clients attest to our 24/7 availability and problem solving. When families grow and needs change, we are there to restructure living spaces in whatever way is necessary. My staff and I pride ourselves on knowing how to be team players. A successful custom home is the result of a harmonious collaboration among owner, architect, builder, and frequently interior designer. It is the builder’s responsibility to not only construct the house perfectly, but to properly manage the process. We anticipate what information we’ll need and make sure that the owner and design team are given adequate time to provide the answers. 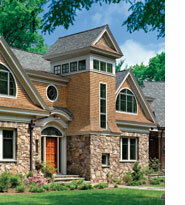 At this point, we are an experienced and innovative custom home building firm. The nuts and bolts of construction are second nature to us. Our focus now is figuring out ways to make a house even better and the process less complicated. Can we make it quieter? Can we make the heating system more comfortable? The handrails smoother? The air fresher? Simultaneously, we continue to refine the building process. Ongoing review of budget and schedule ensure that unwelcome surprises are virtually non-existent. Our goal is to assure that the owner and architect feel that they are getting a professional effort. Most important to us is achieving that indefinable quality that makes a home feel safe, solid and timeless. 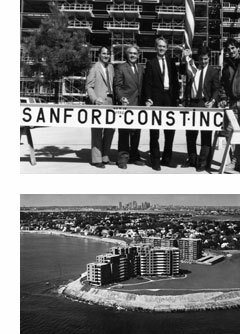 In 1981, after receiving a degree in civil engineering, I began working with Sanford Construction Company, my father’s development and general contracting firm. For nine years I was involved with Seal Harbor, a 500,000 square foot condominium development consisting of 256 units and 300 underground parking spaces housed in two 10 story buildings. During this time I developed a tremendous understanding of the construction process. When Seal Harbor was complete, I used this knowledge to start my own home building firm. We started small but as the homes became larger and more complex, it was clear that my passion would be working with talented architects and building unique, one-of-a-kind homes. Over the years we've grown in experience and sophistication. My team and I have had the good fortune to be able to build incredible homes with some of the Boston area's best known architects, designers and landscape architects. Our homes are our legacy. We will always be there for our clients.